These days it is rare that I leave work before 6pm so I need quick tasty meals so that we get tea at a reasonable time. 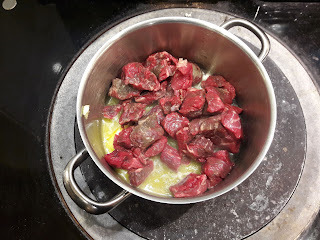 I grew up on a farm so we have always eaten a lot of beef and this quick beef stew is one of our favourite meals. 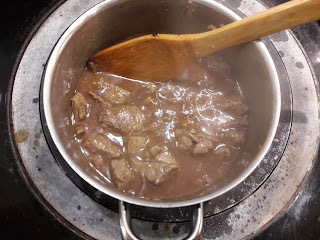 I always make double the quantities, using 2lb of steak and then freeze half so that we can have a quick meal on another night. 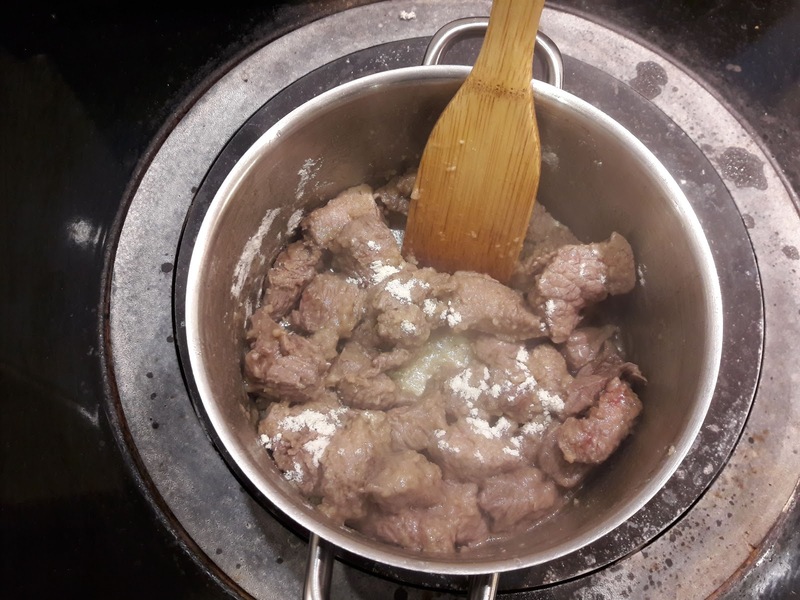 To make the stew you fry the steak in the butter and oil until cooked, add the flour and stir until the juices start to thicken. 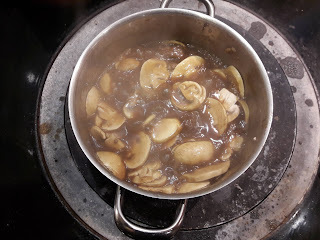 Add the stock, stirring until thickened and then add the worcestershire sauce and redcurrant jelly. Finally add the mushrooms and leave to simmer for 15 minutes. This dish is so easy to make and tastes delicious. I usually serve it with carrots, cauliflower and broccoli and baked potato but it also goes well with mash or new potatoes. Beef is a great dish to cook for my family as beef is naturally rich in protein and is a source of iron which helps reduce tiredness and fatigue. Beef provides eight essential vitamins and minerals that support good health and well being.